Dice has leaked a picture of their latest gaming PC that they plan to unveil at Gamescom 2013. The PC is said to be built by AMD, a long-time marketing partner of Dice who was also responsible for constructing an earlier model for BF2. 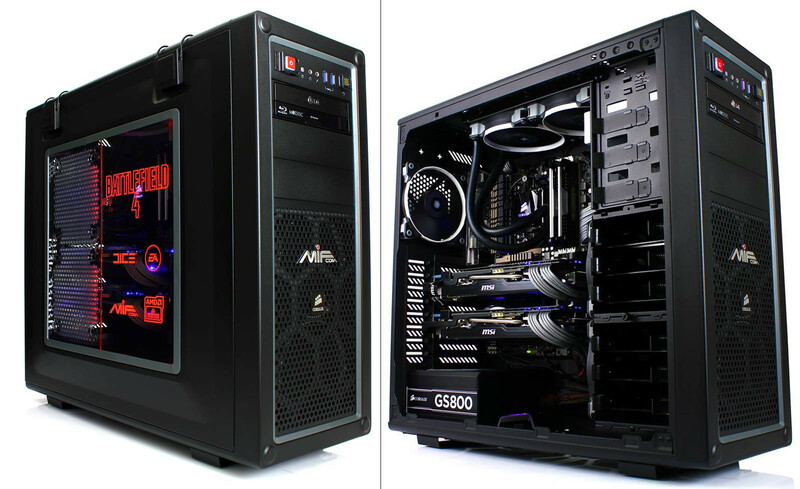 From what we can see at a visual standpoint, most of the internal components consist of Corsair products as well as the tower itself. Note that these specifications are pure speculation and there is no official list as of yet. However, it looks to be a very well-oiled machine. Many fans are eager to see if Dice will be conceiving a special giveaway for this PC. Another update has come across Battlefield’s blog, this time with a short video titled “Crash In Guns Blazing”. Though it’s less than a minute, it perfectly describes the Battlefield experience in a nutshell. Here’s an example: Jump in a heli at the start of the round, smoke some enemies, get shot down, parachute past a huge skyscraper down onto a glass ceiling that you shoot through with your pistol and right into another foray where you attempt to snare some more frags. Now that’s awesome. I can’t wait to play this game… I just gotta upgrade my video card from the GTX 500 series to the 600 series and I’m set.